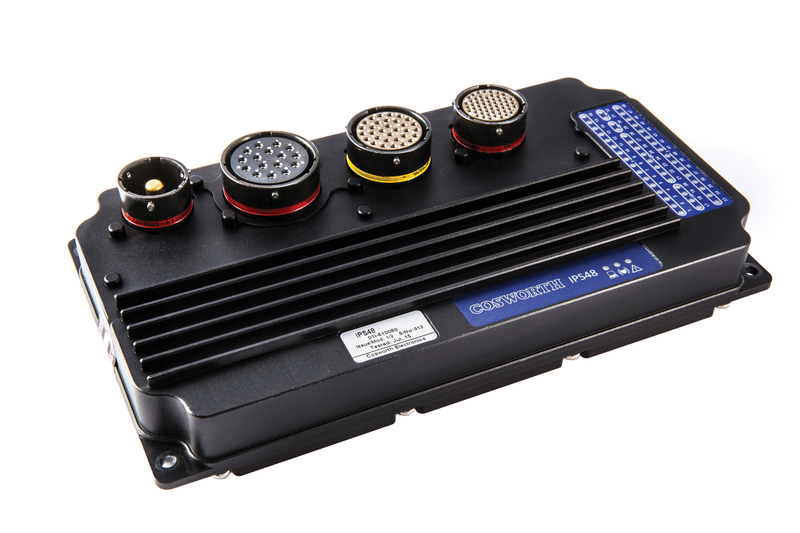 The IPS48 MkII is the latest generation of electrical power management system developed by the electronics team at Cosworth, using solid state power devices to upgrade and replace traditional DC fuses and circuit breakers, with the benefit of simplified wiring and better control of power consumers. Making the unit programmable via onboard intelligence combined with CAN messages enables breakers to be reset automatically and failure modes to be defined enabling a car to be as resilient as possible on the punishing conditions encountered on any racing stage. The IPS32 has the ability to run on 12v or 24v systems with overvoltage and load dump protection as standard, and integrates a powerful built-in diagnostics logger making the IPS48 a true standalone intelligent power control system.